We’ve been supplying Cambridge painter decorators, contractors and homeowners for some years now. We’re well known for keeping in stock a good range of wallpaper designs, paints for all purposes and all the decorating essentials. 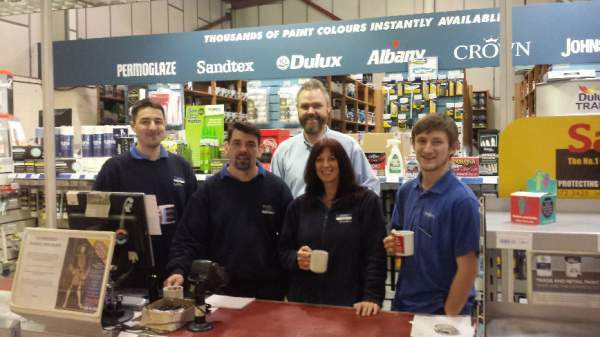 We offer site visits to give first-hand recommendations on paint products and we deliver locally too. Homeowners can book a kitchen design consultation in-store, to help create the perfect kitchen layout for any space. Phone to book your appointment or come in to browse and ask our team for any decorating product advice. You’ll find us close to the train station and next to Cambridge Leisure Park. 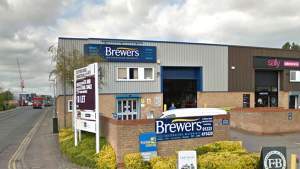 We have large premises on Clifton Road Industrial Estate, just off Cherry Hinton Road where it meets the A1037 Hills Road. We’re the first unit on the right, in front of you as you turn into the industrial estate. There’s lots of parking outside and the store is accessible for wheelchair users. Head east on Cherry Hinton Road, turn left onto Clifton Road, follow this road and the store is located on the right. Head west on Cherry Hinton Road, turn right onto Clifton Road, follow this road and the store is located on the right.